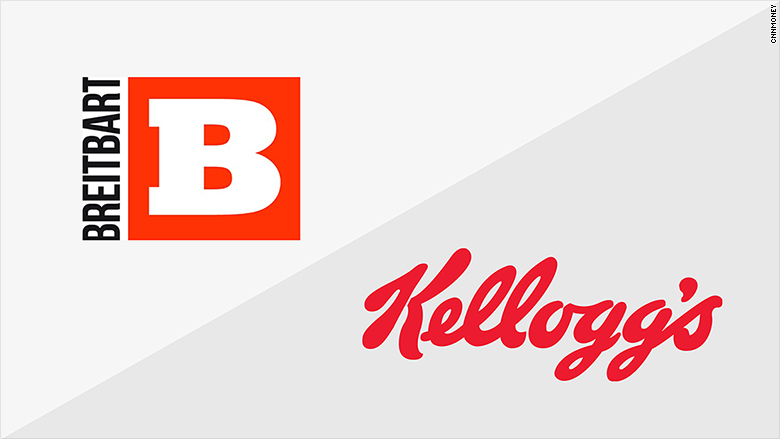 Breitbart News is going to war with Kellogg's after the cereal maker decided to pull its advertisements from the far-right news site in protest of its political views. Describing Kellogg's decision as an insult to what it claims are 45 million monthly readers, Breitbart launched a petition Wednesday afternoon aimed at encouraging readers to stop buying all Kellogg products, including Frosted Flakes, Pringles and Eggo waffles. "For Kellogg's, an American brand, to blacklist Breitbart News in order to placate left-wing totalitarians is a disgraceful act of cowardice," Alex Marlow, the site's editor-in-chief, wrote. "Boycotting Breitbart News for presenting mainstream American ideas is an act of discrimination and intense prejudice. If you serve Kellogg's products to your family, you are serving up bigotry at your breakfast table." Earlier Wednesday, Breitbart -- which has historically not hesitated to publish news stories targeting its enemies -- ran an article headlined, "Shock: Amnesty International Blasts Kellogg's For Using Child Labor-Produced Ingredients." The article was written by Joel Pollak, a senior editor-at-large with Breitbart. Kellogg's announced its decision to pull advertising from the site on Tuesday, amid growing scrutiny over Breitbart's controversial populist, anti-immigrant worldview. 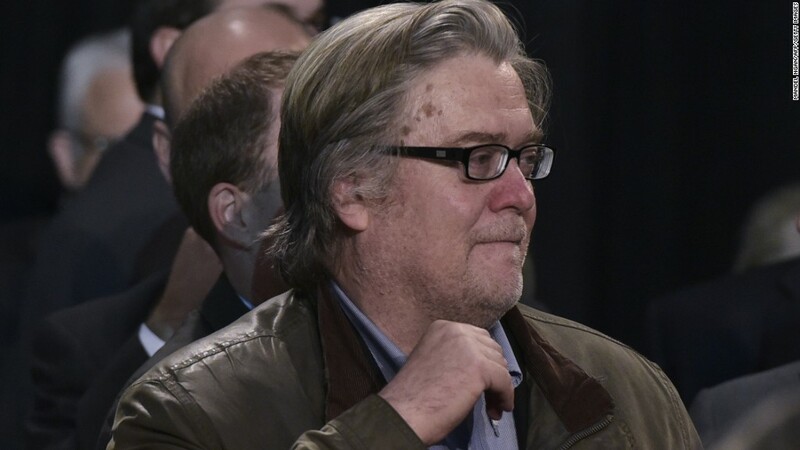 Steve Bannon, formerly Breitbart's executive chairman, left the site to become the CEO of Donald Trump's presidential campaign, and will be his chief White House Strategist. Bannon had previously described Breitbart as "the platform for the 'alt-right,'" a movement that includes some extremists, including white supremacists and neo-Nazis. "We regularly work with our media-buying partners to ensure our ads do not appear on sites that aren't aligned with our values as a company," Kellogg's said in a statement. "We recently reviewed the list of sites where our ads can be placed and decided to discontinue advertising on Breitbart.com. We are working to remove our ads from that site." Breitbart claims Kellogg's decision "will make virtually no revenue impact on Breitbart.com." Flight by more advertisers could lead to trouble for the site, though. And some others, like Allstate, Nest and Earthlink, had stopped running ads on Breitbart even before Kellogg's announcement.